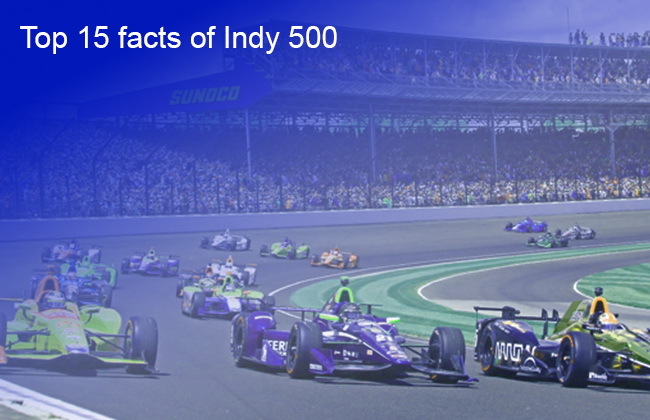 When watching the Indy 500 live online, there are some facts about this race that it would be nice to know. There are a lot of fun facts about this race. These facts should help you in watching the race. The Indianapolis Motor Speedway is the biggest sporting facility in the world. It has over 250,000 seats. The Indianapolis 500 race is 200 laps and its is over a 2.5-mile circuit. It is known as one of the greatest spectacles in racing. The Indianapolis Speedway is the biggest sports arenas in the world. The speedway grounds are 253 acres and there is also a golf course. There is a tradition of drinking milk after winning the race that began with Louis Meyer. The Indy 500 began in 1911. It has been over 100 years since the race started. It is called the “brickyard” for a reason. Before it was covered in asphalt, it was covered by 3.2 million hand-laid bricks. They were one yard wide. There is one part of the bricks that still exists. Its at the start and finish line. Drivers will kiss that part usually after they win the race. Anywhere that you are seated, you cannot see the whole track at all. There is a wreath of flowers that is placed around the next of the Indy 500 winner. This tradition started in 1960 and continued ever since. There is a parade to celebrate the Indy 500. It goes for 2 miles. It’s the third largest parade in the U. S.
The race is actually not in Indianapolis, but its in Speedway, Indiana. Firestone provides around 5,000 tires for this race every year. The trophy is worth $3.5 million. The race brings $431 million to the economy of Indianapolis. There are 33 cars in the starting field. The winner gets paid $2.49 million.